Born in Antalaha, Madagascar, Razia has roamed from Africa to Europe, Asia, and North America (New York City). Along the way, she modeled and acted professionally and earned a doctorate in pharmacology before turning to songwriting and singing. Her musical explorations have been equally wide ranging. Over the years she has experimented with French chanson, rock, jazz, and even smooth Sade-style R&B. She found her true voice interpreting traditional Malagasy music in her native tongue. In February 2007, Razia returned to Madagascar with her full band to record music around the big island. Environmental damage from unfettered slash-and-burn agriculture, illegal logging, and climate change was so profound that she hardly recognized the land she had left as an 11 year old. That six-week journey, and her connections with local musicians, transformed her next album, Zebu Nation. 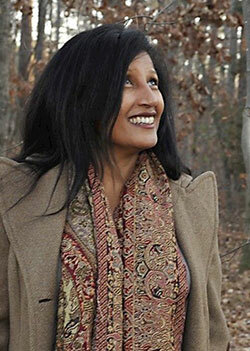 Razia has emerged as a global musician and environmental activist. Madagascar also lies at the heart of her latest album, Akory.